This is list is created by the librarians at Public Schools of Brookline,Massachusetts. 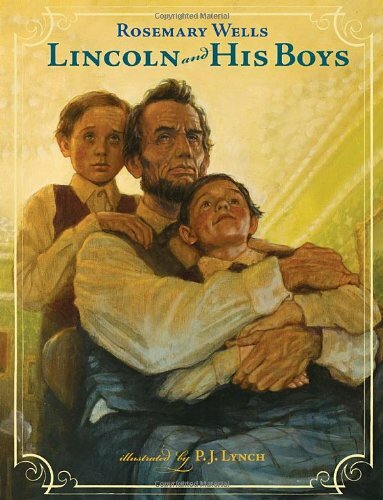 A warm, moving portrait of Abraham Lincoln told through the eyes of his children and captured in exquisite full-color illustrations. Historians claim him as one of America's most revered presidents. But to his rambunctious sons, Abraham Lincoln was above all a playful and loving father. Here is Lincoln as seen by two of his boys: Willie, thrilled to be on his first train trip when Lincoln was deciding to run for president; Willie and Tad barging into Cabinet meetings to lift Lincoln's spirits in the early days of the Civil War, Tad accompanying him to Richmond just after the South's defeat. With the war raging and the Union under siege, we see history unfolding through Willie's eyes and then through Tad's -- and we see Lincoln rising above his own inborn sadness and personal tragedy through his devotion to his sons. With evocative and engaging illustrations by P.J. Lynch, Rosemary Wells offers a carefully researched biography that gives us a Lincoln not frozen in time but accessible and utterly real. A reissue of Pam Munoz Ryan's bestselling backlist with a distinctive new author treatment. 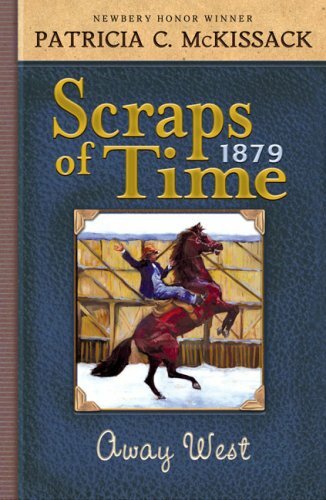 In this fast-paced, courageous, and inspiring story, readers adventure with Charlotte Parkhurst as she first finds work as a stable hand, becomes a famous stage-coach driver (performing brave feats and outwitting bandits), finds love as a woman but later resumes her identity as a man after the loss of a baby and the tragic death of her husband, and ultimately settles out west on the farm she'd dreamed of having since childhood. It wasn't until after her death that anyone discovered she was a woman. Unlike his older brothers, thirteen-year-old Everett was "born in freedom," never knowing life as a slave. His most prized possession is the medal his father earned in the Civil War. Now, more than 125 years later, that treasure is kept in the Websters' attic with other "scraps of time," ready to be discovered by another generation eager to know its family history. The second novel in Patricia C. McKissack's family saga recounts a young Southern boy's dream of heading west to a new life and the way in which his journey teaches him the deeper meaning of the medal his father won. When 10-year-old Allie learns that her family will be moving from a two-family home to their very own house, she's hesitant until she finds out they will be living on a street with the magical name of Strawberry Hill. That changes everything! But strawberries aren't the only things Allie will have to look for in her new neighborhood. As Allie struggles to find a new "best friend" and adjust to all of the changes she faces, she takes readers on her journey to make Strawberry Hill feel like home. 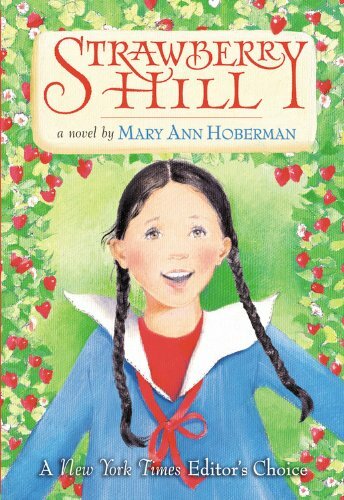 Strawberry Hill is a timeless story that will captivate readers, just as Mary Ann Hoberman's picture books and poems have for more than fifty years. 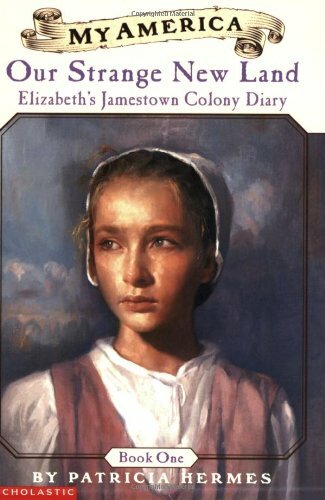 Award-winning author Pat Hermes tells the story of Elizabeth Barker, whose family sails from Plymouth, England, to Jamestown, Virginia, in 1609. This book helps to relaunch the My America series. In May 1607, 3 ships sailed up the James River in Virginia. In the riverbank marshes, they made land and hung the flag--England's flag--establishing the first permanent English colony in Jamestown, Virginia. In 1609, the first ship carrying women and children arrived. After 71 days at sea, nine-year-old Elizabeth Barker is thrilled to be on dry land. Lizzie keeps a journal for Caleb, her twin brother who stayed in England because of his weak lungs. In her buoyant entries,Lizzie tells of the abundant forests, trading with and learning from the Indians, and adventures with her new friends. More than anything, Ida Bidson wants to become a teacher. To do that, she must finish eighth grade, then go on to high school. But her dream falters when the one-room school in her remote Colorado town shuts down. Her only hope is to keep the school open without anyone finding out. 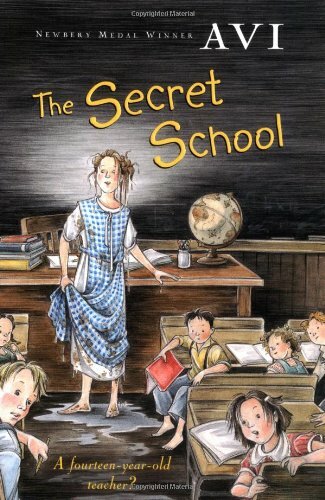 Yet even a secret school needs a teacher. Ida can't be it. . . . Or can she? 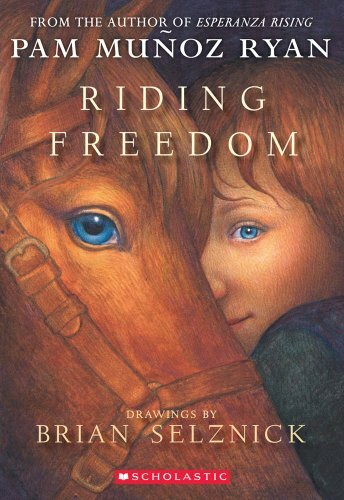 In the spirit of The True Confessions of Charlotte Doyle, Newbery Medal winner Avi creates an inspiring story of a headstrong girl determined to control her own destiny.